Located in the heart of Montclair, Immaculate Conception High School is easily accessible by bus or train. 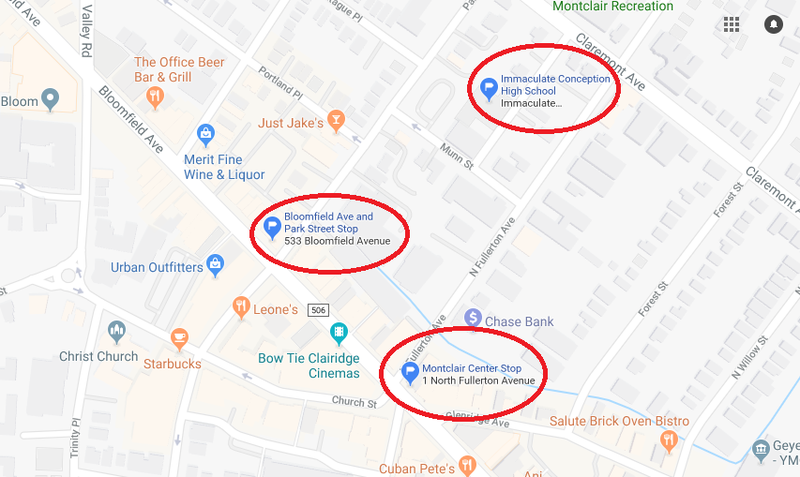 Just a few blocks away from Montclair Immaculate, the New Jersey Transit bus line (11,28, 29, and 34) has convenient stops along Bloomfield Ave! For maps and time information, click the links below! Montclair Immaculate is also accessible via New Jersey Transit trains! 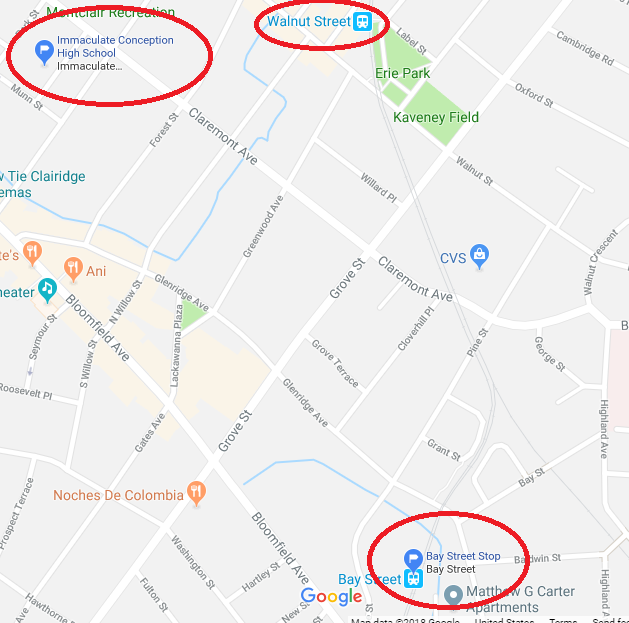 The Montclair-Boonton Train Line will take students to the Bay Street stop or the Walnut Street stop, which are both very close to ICHS.